The idea of compiling a Top 6000 was not an idea that was just happened one day.It was a project that took over 40 years to evolve. Barry Kowal was born on Monday,February 23,1953 in Brooklyn,New York,USA. At the age of three (3) he moved to Syosset,Long Island,New York where he lived until April of 1965. The first 45 RPM that Barry ever bought was the "Battle of New Orleans" by Johnny Horton in 1959. A song that was banned in the UK because of the line "We fought the bloody British...". However, a version by Scotish singer Lonnie Donegan was popular in the UK.On his version he says "fought the boomy British..."
In February of 1963 began to take a strong interest in popular music. Living in Long Island Barry would listen to Radio Station WABC from New York City.Every Tuesday there was the countdown. Barry listened every Tuesday and would write down the entire top 20. The list of the biggest songs of the week were also available for free at Floyd Bennet Department store located one mile from Barry's house. Barry would go there every week. In June of 1963 Barry changed the value for the #1 position on the weekly chart from 60 points to 70 points. Late in 1963 WABC stopped publishing the Top 40. They began only publishing a Top 14. This idea of only calculating the points for songs that only peak at #14 or higher remains in Barry's calculations to the present day. At the end of 1963 "Be My Baby" by the "Ronettes" was #1 for the year and "He's So Fine" by the "Chiffons". Barry then compiled list for the Top 100 of 1964,Top 100 of 1965 and the Top 100 of 1966. In April of 1965 Barry moved from Syosset,New York to Sayreville,New Jersey. Sayreville is in Middlesex County and Barry lived in Middlesex County until August of 1981. #2 song for 1960 in between the two songs. That is because Radio Station WINS ranked "The Twist by Chubby Checker" as the #2 song for the entire year of 1960. But WINS also ranked "The Twist by Chubby Checker" as the #1 song for the entire year of 1962. That's why you see "The Twist by Chubby Checker" at #4 of all-time on the list. You only get one appearance on the list. In 1969 the list still using the same format was expanded to a Top 400 of all-time. 1970 saw bigger changes. I managed to acquire lists of the biggest hits of each year for Cash Box Magazine between 1950 and 1969. Only going back to 1955. I applied mathematical formulas using the year-end charts.100 points for #1 of the year,99 points for #2 of the year,98 points for #3 of the year...3 points for #98 of the year,2 points for #99 of the year and 1 point for being #100 of the year. In the event of a tie the more recent song would be placed in a higher position than the other songs.On my first list "Hey Jude by the Beatles"
ranked as the #1 song of all-time. Rock Around The Clock by Bill Haley And The Comets ranked in the all-time Top 10. I also expanded the list to the Top 600 of All-Time. 1971 saw the list expanded to the Top 800 of All-Time and in 1972 the list was expanded to the Top 1000 of All-Time (1955-1971). The list would not be expanded beyond a Top 1000 until 1986.1972 also saw the onset of a new publication that probably has had the greatest impact in the compilation of this list to this date. I began using Billboard Magazine. Using the same formula with WABC and Cash Box Magazine (100 points for #1 of the year,99 points for #2 of the year,98 points for #3 of the year,etc.,etc.). Every songs score would be calculated by their combined scores from WABC,Cash Box and the Billboard chart. "Hey Jude by the Beatles" was still #1 for all-time while "Sugar,Sugar by the Archies" was #2 and "Joy To The World by Three Dog Night" was #3. 1973 saw "American Pie by Don McLean become the #1 song of all-time. "American Pie by Don McLean" would stay at #1 on my Top 100 until 1978. 1978 was a big year of change "You Light Up My Life by Debby Boone" became the #1 song of all-time. Also during the 70s I managed to get back charts for Billboard Magazine(mainly through the Miles Chart Display).So everything was done on a point system. As I told you earlier about my original formula for the weekly charts on WABC 70 points for #1,58 points for #2,56 points for #3...36 points for #13 and 34 points for #14. So this same formula was applied to the Billboard charts.So now a song would receive points from three surveys,Billboard,WABC and Cash Box. Now I had no weekly Cash Box surveys. So, what I did was this. Suppose a song like Mr. Blue by the Fleetwoods gets 680 points for being the #3 song for the year on the Billboard list that I compiled.Then "Personality by Lloyd Price" ranks as #3 on Cash Box Magazine's year-end survey. "Personality by Lloyd Price" will receive 680 points for this ranking. So each song would receive it's score by totalling how many points it would get from WABC,Cash Box and Billboard. Also in 1978 the list was expanded to included songs from 1953 and 1954. In 1979 songs from 1950-1952 were included in compilation of the countdown.My January 1980 top 1000 spanned three decades:1950s,1960s and 1970. For the entire year of 1979 "Stayin' Alive by the Bee Gees" held the position as the #1 song of all-time. In January of 1980 "You Light Up My Life by Debby Boone" again became the #1 song of all-time and would hold the #1 position of all-time for all of 1980,1981 and 1982. Also during 1980 and 1981 the list was expanded chronologically. First songs from the 1940s were added to the list then the 1930s and 1920s. During 1980,1981 and 1982 I was busy acquiring more vintage Cash Box singles charts so less was a score on a Cash Box chart substituted with a score from another chart.Also in 1981 Barry moved to Oklahoma. deal with round numbers) peaked in the Top 14 (our base for all charts) on the Billboard charts. But in 1977 60 songs (once again,actually it was 107 but I am speaking hypothetical and I want to deal with round numbers) peaked in the Top 14 on the Billboard charts. So to get the raw score for "(I Can't Get No)Satisfaction by the Rolling Stones" we multiply 600 (actual score) by 1.5 (every song peaking in Top 14 =.01)=900 (the raw score).If 100 songs peak at the #14 position or higher then the actual score and the real score are the same. Now to get the raw score for "You Light Up My Life by Debby Boone" we multiply 1200 (actual score) by .6=720 (the raw score). Then this is the score we use to get the score that is used in determining what position a song will appear on the Top 1000 (now Top 5000). In January of 1983 I lived in Hollywood. But come February I was living in Cheyenne,Wyoming. Then in October to Fort Collins,Colorado and in March of 1984 when it was back to Wyoming where I stayed until April of 1985.
same period (1954-1982)and then I would figure out what would be the raw score for the song that performed the third best on let?s just say Billboard Magazine?s singles chart during that same period (1954-1982) and so on and so forth. Then suppose a song ranked at #5 on WCBS-FM?s 1983 edition of the Top 500 of all-time. I would look at the chart I just compiled and see what was the raw score for the song that performed the fifth best on let?s just say Billboard Magazine?s singles chart during that same period (1954-1982). A song could then use that score to substitute for the score the song received from WABC for it?s performance on the WABC charts.Then that score would be used in the song?s overall score which determines where the song will rank in the entire Top 1000 (now Top 5000).Using raw scores from all-time charts are still used today in calculating a song?s ranking. Because of the use of all-time charts 1983 saw a new #1 of all-time:?The Twist by Chubby Checker? while Bing Crosby?s ?White Christmas? was #2 and "You Light Up My Life by Debby Boone" was #3.?The Twist by Chubby Checker? would remain the #1 song of all-time until 1985. 1984 saw another big change. I managed to purchase a book that had all the Cash Box Magazine Singles charts from 1950-1981. So now however a song ranked on Cash Box Magazine it?s score for that position would not be substituted with a score from some chart that was not a Cash Box chart.The same rule had already applied for about six years for Billboard Magazine. and now there is only one song on the list that peaked on the charts in 1951:?Sixty Minute Man? by the "Dominoes". In 1985 like now this is somewhat the oldest song on the chart. If you note songs like ?White Christmas? by ?Bing Crosby? (1942),?It?s All In The Game? by ?Tommy Edwards? (1951) and ?Rags To Riches? by ?Tony Bennett? (1953) all charted in the USA before January of 1954.?But they all also charted after January of 1954. ?Rags To Riches? by ?Tony Bennett? peaked on the Australian charts in 1954. It is because of that reason why they can compete to place on the Top 5000 (in 1985 a Top 1000).Further ?Sixty Minute Man? by the ?Dominoes? only charted before January of 1954.That change made in 1985 still holds until today. Another change also took place in 1985.The album charts were now included in the Top 5000 (then top 1000). If the position required an album to be placed on the list I could not use the entire album for one position so I chose the most successful song yet to chart on the list to be put in the applicable position.This idea of placing the most successful cut from an album is still used today.The idea of using the point system took awhile to evolve. 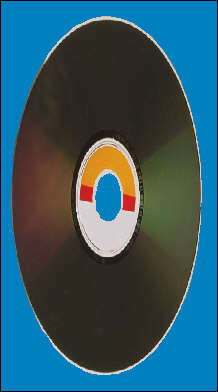 At album cuts were positioned on the charts similar to how the singles were placed on my first all-time chart in 1967.At first they were positioned by their year-end rankings on Billboard Magazine?s album charts then later around 1988 they began to be positioned by their year-end rankings on Cash Box Magazine?s album chart. What you had on the Top 1000 back in 1985 was one song would be positioned by it?s score on the singles chart and the next song would be positioned by it?s ranking on Billboard (later Cash Box) Magazine?s year-end album chart. This formula would be phased out during the 1990s. Using the album charts gave rise to a new #1 of all-time. That year Led Zeppelin?s "Stairway To Heaven" became the number one song of all time. ?Stairway To Heaven? by ?Led Zeppelin? stayed at #1 until 1988. During the late 1980s little by little the size of the list began to expand. In 1986 I had the ?Top 1100 of All-Time?. In 1987 the list was expanded to the "Top 1600 of All Time". In 1988 the list was expanded to the "Top 1800 of All-Time". Also in 1988 the entire album of "Dark Side of the Moon" became the new #1 and has retained that position until now. In 1990 the list was expanded to the "Top 2000 of All-Time". In 1991 two editions of the list were released. In January of 1991 I had the "Top 2500 of All-Time" and in September the "Top 2600 of All-Time". In 1992 finally the first "Top 5000 of All-Time" was released. Also that year Australian charts began to be included in compilation of the list. Further in 1992, I began to research vintage album charts and little by little with each new listing of the Top 5000 more and more albums were charted by a point system like the singles were (and still are)rather than by their year-end rankings on Cash Box Magazine.It would take until 1999 to get a point system (exactly like the one used for singles)to be used for all albums cuts charting on the Top 5000. In 1998 UK charts began to be used in compilation of the list.But not the more current charts.Primarily the single charts between 1960-1991. January of 2003 saw everything go full speed ahead. UK,Canadian and Australian both single and album charts began to be regularly followed and I began researching vintage Aussie,UK & Canadian charts. I began going through back issues of Billboard Magazine's International section.Also on visits to Canada I got old books with back weekly charts from that country. Still using UK,US,Canada and Australian single and album charts more definitively,in 2014 the chart was expanded to the top 6000.That is where we are at now.What holds for the future your guess is as good as mine.